On January 16, 2019, the World Tourism Cities Federation (WTCF) and the Tourism Research Center, Chinese Academy of Social Sciences (TRC-CASS) jointly released the Report on World Tourism Economy Trends 2019 (hereinafter referred to as “the Report”). More than 60 delegates from WTCF, the Chinese Academy of Social Sciences, such foreign institutions in China as Panama Embassy and South African Embassy, Chongqing City and Chinese domestic tourism-related agencies, as well as more than 100 domestic and foreign media jointly participated in the release and forum discussion of the Report. On the afternoon of 11 December, the World Tourism Cities Federation Europe Tourism Conference, focusing on the conference theme of “China-Europe City Tourism Cooperation and Development”, held a forum, in which experts of WTCF’s expert committee, European city representatives, and tourism enterprise representatives concentrated on the discussion of the core concerns and trends in the current Chinese and European tourism destination cooperation including “European Tourism Cities and Chinese Outbound Tourism”, “Opportunities and Challenges for China-Europe Tourism Investment”, “New Hotspots and New Products in China-Europe Tourism Market” and so on. Two advocacies were reached. From 10 to 12 December 2018, World Tourism Cities Federation (WTCF) and its member city Seville co-hosted the “WTCF Europe Tourism Conference 2018”, which opened at the FIBESⅡ. The conference, with the theme of “China-Europe City Tourism Cooperation and Development”, is the first large regional conference that has been held in Europe, aimed at profoundly discussing the important issues regarding the tourism cooperation between Chinese and European cities, and boosting the deep tourism cooperation between China and Europe, so as to generate new impetus to the world’s tourism development. The China International Travel Mart 2018, co-hosted by the Ministry of Culture and Tourism of the People’s Republic of China, Civil Aviation Administration of China, and Shanghai Municipal People's Government, opened on November 16. WTCF, representing its members, attended the mart, distributed publicity material to promote its members, extensively communicated and held talks with professionals of the industry, and proactively promoted the tourism resources of its city and institutional members. WTCF set up an exhibition booth at the mart, and streams of visitors stopped by the booth including its city and institutional member exhibitors and other visitors coming and going. WTCF Executive Deputy Secretary-General Li Baochun and his delegation recently visited Edinburgh, and met with Edinburgh Mayor Lord Provost Frank Ross upon invitation at the government residence. Both sides held friendly discussion on the recent activities of WTCF and the tourism promotion of Edinburgh. The World Travel Market was held at ExCeL London on November 5, 2018. WTCF was invited to attend the event and host the "China Outbound Tourism Development Trend" forum. Representing WTCF, Li Baochun, Executive Deputy Secretary-General of WTCF; Julie Chappell, Managing Director, International Markets, London & Partners; Howard Zhang, Chief Editor, BBC News Chinese; Amy Wei, GM of International Train Ticketing, Ctrip Group; Zhang Yingbing, Head Office, China International Service Limited; and Filippo Del Corno, Deputy Mayor, Culture of Comune di Milano, were present at the forum held that day. On the afternoon of October 30, WTCF and the Overseas Chinese Media Cooperation Organization signed the strategic cooperation agreement in Beijing. According to the agreement, the OCM will use its resources, through newspapers, magazines, new media and other media platforms, to provide support for WTCF in event planning, press release, public relations publicity, marketing and other aspects. Meanwhile, WTCF will make use of the advantage of its platform, and conduct a preferential recommendation of the OCM’s media resources to its members. On October 26, 2018, the mayor of WTCF member city Geneva Mr. SAMI KANAAN visited the Secretariat of WTCF and held working talks with Mr. Li Baochun, Executive Deputy Secretary-General of WTCF. Li Baochun, Executive Deputy Secretary-General of WTCF, welcomed the visit of Mayor SAMI KANAAN and his delegation, and introduced WTCF’s recent major work, featured member service projects, and future development plans. The Global Tourism Economy Forum took place in Macao from 23 to 24 October, 2018. Li Baochun, Executive Deputy Secretary General of WTCF; Zhang Nan, Director of the General Business Department and other executives of the WTCF attended the forum. From October 15 to 25, 2018, WTCF, commissioned by the Beijing office of the Moroccan National Tourist Office, organized the persons in charge of African business from 16 different travel agencies to visit the Tanger-Tetouan-Al Hoceima region to participate in the “Regional Tourism Market Tanger-Tetouan-Al Hoceima” conference, and partake in a tour of the tourism-related resources of the Tanger-Tetouan-Al Hoceima region. On 15 October, "Brand Evaluation-Tourism Destination" International Standard Proposal Symposium, organized by WTCF in association with the Center for City and Competitiveness, Chinese Academy of Social Sciences (CASS) and the China Council for Brand Development, was held in Zhangjiajie. The symposium is a phased symposium based on the standards of tourist destination brand evaluation. The 2018 World Canal Cities Forum, jointly hosted by the World Historic and Cultural Canal Cities Cooperation Organization (WCCO), and the China National Committee for Pacific Economic Cooperation, was held in the City of Yangzhou, Jiangsu Province from October 12-13. Those who visited the Yangzhou forum include more than 400 participants, who are representatives of more than 30 countries and more than 70 canal cities of the world, representatives of international organizations, national institutional officials, experts and scholars, representatives of the industry and so on. They shared their achievements, exchanged their cases, and jointly discussed the blueprint of the world’s canal business development.On behalf of WTCF, Jenny Cai, Director of WTCF Public Relations & Brand Marketing Department, was invited to attend the World Canal Cities Cultural Tourism Cooperation sub-forum. On October 13, the 2018 Annual Conference of International Mountain Tourism Alliance was held in Guiyang City, Guizhou Province, China. As a supporter of this conference, WTCF Deputy Secretary-General Yan Han led a delegation to attend the conference, and delivered a speech at the opening ceremony. On October 9, the 2018 Summit of the World Culture and Tourism Conference was held in Xi’an of China’s Shaanxi Province. With the theme of “Fusing Ideas and Talents to Build a Common Future”, the summit, which lasted for two days, was jointly hosted by Xi’an Municipal People’s Government, Shaanxi Provincial Tourism Development Commission, and Ctrip Group. The conference consists of the opening ceremony of the World Culture and Tourism Conference Summit, Xi’an Forum for Building A World Tourism Fashion City, and the World Culture and Tourism Conference’s forums with a series of themes. Those who attended the summit’s opening ceremony include officials from the UNWTO and the foreign embassies and consulates in China, persons in charge from the world’s Fortune 500 tourism enterprises and China’s Fortune 100 tourism enterprises, persons in charge from the Chinese domestic and international tourism destination marketing institutions, persons in charge from the key scenic spots and theme parks, and so on. From September 17 to 18, Yan Han, Deputy Secretary-General of WTCF, and a delegation attended the 7th UNWTO Global Summit on Urban Tourism, which was held in Seoul of the Republic of Korea. National and regional tourism ministers, mayors, and tourism department and enterprise leaders and experts from more than 50 countries visited the summit and discussed the “A 2030 Vision for Urban Tourism”. The summit was jointly organized by the UNWTO and the Seoul Metropolitan Government, and jointly supported by the Ministry of Culture, Sports and Tourism of the Republic of Korea, the Korea Tourism Organization and the Seoul Tourism Organization. From September 9 to 12, the 2018 International Forum on Characteristic Tourism Development and Poverty Alleviation Cooperation in Western China was held in Yushu, Qinghai. The forum is sponsored by WTCF, the People’s Government of Yushu Prefecture, Beijing Municipal Commission of Tourism Development and Beijing Poverty Alleviation Cooperation and Support Office, and organized by the Qinghai Yushu Commanding Office, Xinjiang Hetian Commanding Office and Tibet Lhasa Commanding Office of Beijing Leading Team for Targeted Aid and Economic Cooperation, and the Tourism Administration of Hetian, and the Tourism Administration of Lhasa City. Experts from WTCF Experts Committee, representatives of WTCF international city and institutional members, and more than 100 representatives from Yushu, Hetian and Lhasa were invited to attend the meeting. On September 8, around the summit theme of "Orient Industry Trends, Brand Tourism Cities", WTCF organized four forum sessions, with the themes of “Building of Tourism City Brand”, “Rapid Rise of Mass Tourism and Its Global Impact”, “City Image and City Brand: How Can Tourism Cities Improve Their Image Through Branding?”, and “Creating and Managing Partnerships for City Branding and Promotion”. The second session was a special forum organized by British Broadcasting Corporation (BBC). On September 7, the Tourism Trade Fair was held during the World Tourism Cities Federation Qingdao Fragrant Hills Tourism Summit 2018. About 260 guests attended the trade fair, including 20 WTCF invited buyers, Qingdao tourism related enterprises and WTCF city members. From September 7 to 8, the Four Cities Tourism Market Promotion Meeting, Chongqing Lunch Promotion and International Horticultural Exhibition Lunch Promotion were held during the WTCF Qingdao Fragrant Hills Tourism Summit 2018. From September 6 to 7, the meetings of WTCF’s sub-committees, including the Committee of Media Organizations, the Committee of Tourism-Related Businesses, Committee of Civil Aviation, the Expert Committee, the Committee of Investment, and the Committee of Cruise Industry were held during the World Tourism Cities Federation Qingdao Fragrant Hills Tourism Summit 2018. During the meetings, the sub-committees summarized their achievements for the past year and discussed topics such as how to further discover and make full use of each committee’s advantages. They also expressed their determination to work together in the platform WTCF has provided, to strengthen organizational development, and promote cooperation among members. During the World Tourism Cities Federation Qingdao Fragrant Hills Tourism Summit 2018, Mr. Karl Wöber, Director of Expert Committee, released the Annual Report on Development of World Tourism Cities (2018) ranking lists. The Annual Report on Development of World Tourism Cities is one of the most important research results of WTCF, and the ranking lists are the essential core of the report. The World Tourism Cities Federation Qingdao Fragrant Hills Tourism Summit “Fragrant Hills Award” Ceremony was held on September 7th, 2018. The committee of the award has set several awards, namely the “Best Tourism City”, Innovative Development Award, City Marketing Award, Development Potential Award, Sustainable Development Award, Industrial Contribution Award, “Best Partner Award” and “Special Contribution Award”. 18 members of WTCF won the awards. On September 7, during the World Tourism Cities Federation Fragrant Hill Tourism Summit, the World Tourism Cities Investment & Financing Conference was held. The theme of this year’s conference is “New Trend of the World Tourism Investment”. Li Weiqun, Chairman of WTCF Investment Committee; Qian Jiannong Global Partner of Fosun International, Chairman and CEO of Fosun Tourism Group; and Dr. Song Rui, Director of the Tourism Research Center of CASS and WTCF Specially Appointed Expert delivered keynote speeches respectively at the conference. The forum guests expressed their views focusing on the “The change of tourism investment method”, “The need & trend of tourism investment in your city”, and “The support of foreigh investment on city side”. On the morning of September 7, the World Tourism Cities Federation Qingdao Fragrant Hills Tourism Summit 2018 grandly opened in WTCF’s member city Qingdao, China. This summit, with the theme of “Orient Industry Trends, Brand Tourism Cities”, is an event jointly hosted by WTCF and Qingdao Municipal People’s Government, and it consists of eight activities: opening ceremony and keynote speech, WTCF council meeting, summit forum, Tourism Market Promotion Conference, Tourism Trade Fair, World Tourism Cities Investment & Financing Conference, exhibition, and sub-committee activities. About 400 representatives from 59 nations, 112 tourism cities and more than 200 tourism-related enterprises, and many international organizations including the United Nations, attended the summit. More than 50 national tourism ministers and tourism city mayors attended the summit. The first online celebrity deep travel lifestyle documentary Feel the World’s third season program Dilraba Feels Seychelles has been being aired on Sina Weibo in July. This program is another example of cooperation of WTCF joining hands with its institutional member Sina Travel and city member Victoria to promote destination tourism resources to Chinese tourists in a brand new way. On July 12, the press conference for the WTCF Qingdao Fragrant Hills Tourism Summit 2018 was held in Beijing. Jointly hosted by WTCF and Qingdao Municipal Government, the summit will be held at Qingdao Shangri-La Hotel, with the theme of “Orient Industry Trends, Brand Tourism Cities”. At the press conference, WTCF Executive Deputy Secretary-General Li Baochun introduced WTCF and details about this year’s summit. Cui Dezhi, Deputy Director of WTCF Qingdao Fragrant Hills Tourism Summit Organizing Committee and Director of Qingdao Tourism Development Committee, introduced the preparatory work of the summit. Luan Xin, Qingdao Organizing Committee Director of WTCF Qingdao Fragrant Hills Tourism Summit and Vice-Mayor of Qingdao Municipal People's Government, said in her speech that the WTCF Qingdao Fragrant Hills Tourism Summit 2018 will be another great international conference for Qingdao to hold, after the Shanghai Cooperation Organization (SCO) Qingdao Summit 2018. On July 9, the “International Mountain Tourism Alliance 2018” Beijing Forum was held at the Beijing Conference Center. This forum is the first big event held after the official founding of the International Mountain Tourism Alliance, and it takes “New Opportunity, New Perspective, New Driving Forces International Cooperation and Construction for Mountain Tourism Development in the New Era” as its theme. Representing WTCF, Executive Deputy Secretary-General Li Baochun delivered a keynote speech themed on “Operation Mode and Experience Sharing of Professional International Toursim Organizations". He shared the development experience of WTCF, and emphasized that, as professional international organizations, WTCF and the International Mountain Tourism Alliance will actively cooperate, complement resources, and reach mutual benefits and achieve win-win results. On June 15, the Beijing International Tourism Expo 2018 kicked off at the China National Convention Center in Beijing. WTCF and Côte d'Ivoire Bureau of Tourism co-hosted the Cote d'Ivoire tourism meeting. On June 15, the Beijing International Tourism Expo 2018 kicked off at the China National Convention Center in Beijing. 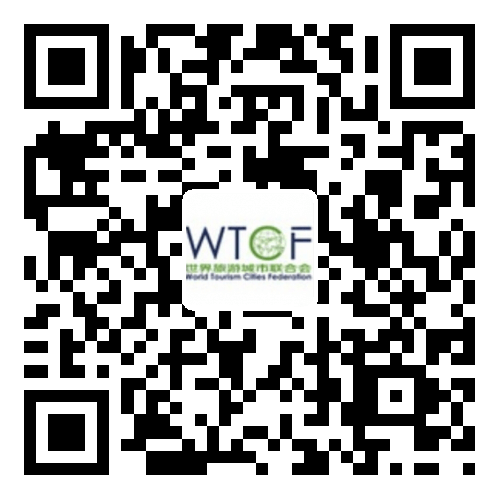 WTCF participated in the expo, and actively promoted its members. From May 26 to 28, the “Pagoda Tree Flower Viewing”, 2018 Dalian China-Japan Tourism Communication Convention (Forum) and the 28th Japan Kitamae-bune Harbour Forum was held in Dalian.Nearly one thousand representatives from China, Japan, Germany, Russia, South Korea, Kazakhstan, Georgia, and Malaysia attended the convention. Li Baochun, Executive Deputy Secretary-General of WTCF delivered a speech during the opening ceremony. He introduced the development of WTCF in recent years and the current situation of China and Japan tourism communication. On May 23, 2018, the “Standardization and Certification in Sustainable Tourism Sector” Seminar was held at the Marco Polo Parkside Hotel, Beijing. The seminar was jointly held by Australian EarthCheck, WTCF, Beijing Tourism Industrial Association, and China Standard Conformity Assessment Co., Ltd. Li Baochun, Executive Deputy Secretary-General of WTCF, delivered a keynote speech with the theme of “Dynamic Analysis on Tourism Industrial Development”. He also interpreted relevant policies in the Chinese tourism industry. The 2018 WTCF Latin America Tourism Conference took place in Bogota, capital of Colombia from April 23 to 25. Among more than 200 attendees were representatives from city members and institutional members of the WTCF in Colombia, Peru, Argentina, Panama, Brazil, the U.S.A and China, media representatives, as well as tourism representatives from Colombia. This is a regional international tourism conference hosted by the WTCF and the Bogota City Council. The China (Xiamen) International Leisure Tourism Expo 2018 organized by World Tourism Cities Federation and Xiamen Municipal Tourism Development Commission, hosted by Xiamen C&D International Travel Service Group Co., Ltd. was held on April 21. Mr. Ishige Jirou, General Manager of JTB New Century International Tours Co.,LTD, a Vice Secretary-General Unit of WTCF Council, delivered a speech on behalf of WTCF. Wei Xiaoan, Chief Expert of WTCF Expert Committee, delivered a keynote speech titled “The Future of Leisure and Leisure in the Future”. Ms. Chang Hong (Kate), Regional Director, China of Los Angeles Tourism and Convention Board, delivered a speech with the title “Oriented on Market Demand to Enhance the Basic R&D Capabilities of Los Angeles Tourism Products”. On April 19, 2018, at the invitation of its institutional member Ctrip.com, WTCF Deputy Secretary-General Yan Han and WTCF Administrative and General Affairs Department Senior Manager Xu Wenbin visited Xi’an to participate in the “2018 Global Destination Marketing Summit and World Culture and Tourism Forum Opening Ceremony”. During the summit, representing WTCF, Deputy Secretary-General Yan Han signed the Strategic Cooperation Memorandum with Ctrip.com - the two parties have expressed that they will consider the requests of each other, fully utilize the advantages of the big data, great platforms, and influential users, sincerely collaborate, and tactfully support each other at work. On April 9, 2018, the four-day “WTCF International Tourist Destinations Promotion and Marketing Training Program 2018” began in Beijing. More than 20 people participated in this training program, including WTCF’s city member representatives from Anuradhapura, Riga, Nairobi, Washington, London, Seville, Belgrade, Berlin, Jakarta, and Victoria; and representatives from the embassies and consulates of the U.S., Costa Rica, Panama, and so on. On March 26, 2018, Yan Han, Deputy Secretary-General of WTCF, met with a delegation from the University of Nevada, Las Vegas through the recommendation of The Chinese People’s Association for Friendship with Foreign Countries. On March 7, 2018, WTCF Secretary-General Song Yu met with Mr. Simon Kendall, Business Development Director – BBC World Service, and other members of the BBC delegation. Song Yu introduced to the visiting BBC guests the foundation, development, member service, and other aspects of WTCF. On March 9th, through the introduce of WTCF, the representatives of the BBC visited Sina Weibo’s Beijing Office and carried out fruitful discussions with Sina’s director. On March 7, 2018, the 52nd Internationale Tourismus-Börse Berlin was officially opened in Berlin, capital city of Germany. As the Co-Host of 2018 ITB Berlin Convention, WTCF led a delegation to attend. Mr. Li Baochun Executive Deputy Secretary-General of WTCF, was invited to deliver opening remarks as the Co-Host representative of ITB Berlin at the opening ceremony of the convention. The annual Guangzhou International Travel Fair (GITF) commenced on March 1, 2018, in Guangzhou. WTCF represented its members to participate in the trade fair, widely communicate with the professionals in the tourism industry, and actively promote the tourism resources of its city and institutional members. On February 1, 2018, the China-Morocco Tourism Forum was held in Casablanca. The forum was jointly hosted by World Tourism Cities Federation, the Moroccan National Office of Tourism, and the Casablanca city. More than one hundred guests were invited to attend the forum. The forum’s theme: “China-Morocco Tourism Cooperation on Belt and Road Initiative”. The forum explored several important topics including “The ‘Belt and Road Initiative’ and Chinese-Africa Tourism Cooperation”, and “Moroccan Tourism Product Development and Marketing”. A tourism trade fair was also held during the forum. Buyers from Chinese famous travel agencies and sellers from African travel agencies attended the trade fair and they exchanged opinions on how to develop the “Belt and Road Initiative” related tourism products. On January 29, H.E. Mrs. Salma Elloumi Rekik, Minister of Tourism and Handicrafts, visited the WTCF Secretariat with a delegation, and had a work meeting.Deputy Secretary-General Yan Han introduced WTCF’s foundation, development, member services and other factors, and emphasized his introduction of the case and experience when WTCF worked to promote the tourism development of Morocco. As the 2018 traditional Chinese Spring Festival is around the corner, WTCF held the 2018 New Year Reception in Beijing to express its gratitude to those that support and help WTCF, including tourism organizations, city members, institutional members, media, and the offices of the embassies and consulates to China of the WTCF member countries. In addition, WTCF also introduced the participating guests the work it has accomplished. 20 ambassadors and Charge D'affaires from Portugal, Estonia, Latvia, Cuba and Colombia attended the event, as well as more than 100 distinguished guests from 64 countries including representatives from SCO, UN, etc. On January 17, 2018, WTCF released the Report on World Tourism Economy Trends (2018) in Beijing. The Report on World Tourism Economy Trends is a special report, which is WTCF’s research on the dynamic tendency and prediction of the world tourism economic development. After the report was released, it drew lots of attention and has been reposted and quoted by many individuals involved in the tourism industry. The 2018 Beijing New Year's Eve Countdown Celebration and the Second Ice and Snow Cultural Tourism Festival Opening Ceremony kicked off at the south square of Beijing's Yongdingmen on January 1, 2018. During the countdown celebration, mayors of WTCF’s member cities including Belo Horizonte, Brazil; Seville, Spain; Lima, the capital city of Peru; and Helsinki, the capital city of Finland, all sent their blessings of the New Year to Beijing through their videos and expressed their best wishes to the beautiful life of Beijing’s New Year. Recently, WTCF was invited by the Department of National Policy, Inter-Regional Relations and Tourism of the city of Moscow to gather its institutional members and tourism businesses to visit Moscow for tourism resource surveying.Those that participated in this survey expedition are institutional members of WTCF and tourism businesses, including CITS, CTS, Beijing China Travel Service, CEITS, Yangguan Tourism International Travel Agency, Caissa Touristic, Ctrip, Tuniu.com., China Comfort Travel etc.On December 8th, members of the survey group and representatives of Moscow Tourism Department and Moscow local travel agencies held profound face-to-face communication. The 6th Global Summit on Urban Tourism, co-organized by MOTAC, and UNWTO, is being held in Kuala Lumpur from December 4-6. During the summit, Ms. Esencan Terzibasoglu, Director of the Destination Management and Quality Programme at the UNWTO, released the UNWTO-WTCF City Tourism Performance Research. Representatives of 5 cities including WTCF city members Buenos Aires, Hangzhou, Cape Town and Turin interpreted the report during the summit. On November 19th, the 2nd Bo’ao International Tourism Communication Forum (ITCF) kicked off in Bo’ao Town, Qionghai City, Hainan Province. WTCF Deputy Secretary-General Yan Han was invited to attend the forum and delivered a speech. Through the successful tourism communication cases of London, Singapore, New York, and other cities, he systematically analyzed the international marketing cases of city brands with simple but effective methods. The 2017 International Travel Mart 2017, jointly hosted by the China National Tourism Administration, Civil Aviation Administration of China, and People’s Government of Yunnan Province, kicked off in Yunnan on November 17. WTCF set up a booth to promote WTCF and its members, and also communicated and negotiated with its members who joined the travel mart. On November 16, with the theme of “Vision Expansion • Pattern Breaking • Future Anticipation”, the First China Tourism Public Opinion (Fragrant Hills) Summit was jointly held by the Culture and Tourism Professional Committee of China Culture Administration Association and Public Opinion Monitoring Office of People.com.cn. WTCF Deputy Sectary-General Yan Han attended the event and delivered a speech. The World Travel Market (WTM 2017) was held at ExCeL London from November 6-8, 2017. WTCF was invited to attend the event and hosted the "China Tourism Development Forum". Representing WTCF, Mr. Li Baochun, Executive Deputy Secretary-General of WTCF; Mrs. Nancy Cockerell, Expert of WTCF Expert Committee; and Mr. Roger Carter, Deputy Director of WTCF Expert Committee, were present at the forum held that day. They discussed the characteristics of China’s tourism market under the world tourism development trend in front of 50 visitors and media representatives at the site. The first "2017 China Leisure Conference (2017 CLC)" was held in "China’s first Eco-city" Lishui, Zhejiang province on Nov. 19. At the conference, WTCF Executive Deputy Secretary-General Li Baochun delivered a speech, and Wei Xiao’an, Chief Expert of WTCF Expert Committee, delivered a leisure tourism topic presentation. From October 16-17, the 6th Global Tourism Economy Forum (GTEF) was held in Macao. The Global Tourism Economy Forum • Macao 2017 was hosted by the Secretariat for Social Affairs and Culture of the Macao SAR Government in collaboration with the World Tourism Organization, co-organized by the China Chamber of Tourism, and coordinated by the Global Tourism Economy Research Centre. On behalf of WTCF, Deputy Secretary-General of WTCF Yan Han, was an honored VIP Guest of the forum and he attended the event “16+1 Central and Eastern Europe Tourism Exchange with China”. As a strategic partner, WTCF hosted the panel discussion “Regional Collaboration—World Cities Perspective” during the forum. On September 26, Buenos Aires local time, the UNWTO-WTCF "Study of World Tourism Cities Performance" Seminar, organized by UNWTO and Buenos Aires City Tourist Board, was held in Buenos Aires. More than 100 representatives from UNWTO, WTCF, Argentina Tourism Bureau, Buenos Aires City Tourist Board, Brazil Tourism Bureau, and Spanish Tourism Bureau attend the seminar. Song Rui, special advisor with WTCF, and Director of the Tourism Research Center, Chinese Academy of Social Science, was invited to attend the seminar. She introduced the background and general situation of the project on behalf of WTCF and she also shared the research result of the Beijing case in the discussion session as the chief expert. On September 22, Los Angeles local time, WTCF Secretary-General Song Yu and his delegation visited the Headquarters of the United Nations, and met with Liu Zhenmin, Under-Secretary-General for Economic and Social Affairs, and conversed with Under-Secretary-General Liu Zhenmin on the issue of WTCF striving to obtain the Consultative Status with the Economic and Social Council (ECOSOC). On September 20, Los Angeles local time, The two-day WTCF Los Angeles Fragrant Hills Tourism Summit 2017 has come to conclusion.Song Yu, Secretary-General of WTCF, delivered a speech at the closing ceremony. He summed up the results of this summit, and on behalf of WTCF, he thanked Los Angeles and the guests for their support and attendance. After that, he presented souvenirs to Los Angeles city representatives. Patti MacJennett. Senior Vice President, Business Affairs at Los Angeles Tourism & Convention Board, delivered a speech and expressed gratitude for the success of the summit. Afterwards, she presented souvenirs to Mr. Song Yu in return. On September 20, Los Angeles local time, the City Tourism Presentation took place during the Lunch Buffet. Representatives of Beijing and Chongqing promoted their cities in wonderful ways, showing the unique tourism resources of the two cities to the guests attending the summit. On September 20, Los Angeles local time, the second day of the Summit proceeded to the four themed sessions, namely “Solutions to Challenges Faced by Tourism Cities, Competitive Strengths and Brand Building of Tourism Cities, Policy Environment Promotes Tourism Investment, and China’s Outbound Tourism: New Trend and Market Dynamics”. 400 representatives from tourism cities, tourism administration, and institutes of higher education attended the forums. The forum sessions culminated in the release of the WTCF research results. On September 20 Los Angeles local time, the Tourism Trade Fair and Tourism Exhibition were held. On September 20 Los Angeles local time, the Annual Report on Development of World Tourism Cities 2017 and other WTCF research results were released during the forums of 2017 WTCF Los Angeles Fragrant Hills Tourism Summit. On September 20th, CCTV Nightly News Reports covers the WTCF Los Angeles Fragrant Hills Tourism Summit 2017. On the afternoon of September 19th, Los Angeles local time, the Tourism Investment Fair was held . This is the second Tourism Investment Fair that has been held since the foundation of the Committee of Investment in 2016 at the Chongqing Fragrant Hills Tourism Summit. On the afternoon of September 19th Los Angeles local time,Helsinki, Tencent and WTCF have signed a tripartite cooperation agreement, according to which Helsinki will serve as an intelligent tourism model for China outbound tourism. On the afternoon of September 19th, Los Angeles local time, the press conference of the Los Angeles Fragrant Hills Tourism Summit 2017 was held. Renowned media outlets such as CCTV, Xinhua News Agency, People's Daily, China Daily, Associated Press, Bloomberg, ABC News Radio, and Los Angeles Times attended the press conference. On the afternoon of September 19, the Los Angeles Declaration of World Tourism Cities Federation was unveiled. Under the theme of globalization and collaborative development of world tourism cities, the declaration makes six-point proposal to all its members: 1) further boost the tourism industry worldwide; 2) improve tourism service quality across the world; 3) facilitate a collaborative and balanced development of world tourism; 4) make tourism service more accessible and efficient; 5) build up security to assure tourists; 6) effectively protect tourism resources. On the afternoon of September 19, Helsinki was elected as the host city for 2019 Fragrant Hills Tourism Summit through the vote at the Second Meeting of the Second Council of WTCF. On the afternoon of September 19, the Second Meeting of the Second Council of WTCF was held, and WTCF Secretary-General Song Yu delivered the 2016-2017 work report. On the afternoon of September 19, Los Angeles local time, themed on “Impact of Globalization on World Tourism City Development”, WTCF Los Angeles Fragrant Hills Tourism Summit 2017 was held in Los Angeles, United States. On September 2, the UNWTO – WTCF City Tourism Performance Research Workshop was launched in Tianjin Meijiang Convention Center, from a joint effort of UNWTO, WTCF and Tianjin Tourism Administration. Mr. Yan Han, Deputy Secretary-General of WTCF; Ms. Esencan Terzibasoglu, UNWTO Program Director Destination Management and Quality; Dr. Roger Carter, Vice Director of the WTCF Expert Committee; and Prof. Song Rui from CASS were invited to attend the Workshop. On August 31, 2017, the special event “Foreign Tourism Expert Lecture” was held in Beijing. The lecture was jointly hosted by the Beijing Municipal Commission of Tourism Development, Beijing Administration of Foreign Experts Affairs, and World Tourism Cities Federation. Managers from Beijing tourism departments, tourism association, hotel, and marketing leaders of Beijing’s hotels, travel agencies and scenic areas, attended the event. The lecture was hosted by Mr. Li Baochun, Executive Deputy Secretary-General of WTCF, and was taught by Ms. Esencan Terzibasoglu, Director of the Destination Management and Quality Programme at the UNWTO. On August 31, the “2017 Asian Tourism Industry Annual Conference”, launched and hosted by 21st Century Business Herald and College of Tourism and Service Management of Nankai University, was held in Shanghai. This annual conference paid close attention to the new direction and opportunities that the cooperation and development of the tourism industries of the Asian nations have under the Belt and Road Initiative. WTCF Deputy Secretary-General Yan Han delivered a keynote speech on the challenges that the tourism cities along the Belt and Road face at the main forum. On June 27, in order to deepen mutual understanding and discuss further cooperation opportunities, Yan Han, Deputy Secretary-General of WTCF, along with 3 colleagues of WTCF, paid a visit to Saint Petersburg Committee for Tourism Development to meet with Andrew Mushkarev, Chairman of Saint-Petersburg Committee for Tourism Development; Evgeny Victorovich Pankevich, Director of St. Petersburg Tourist information Bureau; Orhan Rzaev, Director for Asia Pacific Region. On June 24, 2017, the “One Belt One Road Event: First Pan-Asian Conference on Chinese Tourism” was held in Astana, capital city of Kazakhstan. The conference was hosted by Astana Convention Bureau LLP, WTCF, Kazakhstan Tourism Association, Kazakhstan Association of Hotels & Restaurants, Committee of Tourism Industry of the Ministry of Tourism and Sport of the Republic of Kazakhstan, and Chinese Friendly. As the co-organizer, Yan Han, Deputy Secretary-General of WTCF, brought greetings on behalf of WTCF and delivered the first themed speech. The Beijing International Tourism Expo 2017 was held from June 16 to 18, at the China National Convention Center. During this expo, WTCF distributed its commercial publicity materials on-site, and actively recommended itself and its members to the audience. During the professional visitor opening day, many exhibitors and visitors visited WTCF’s booth to consult and negotiate with its on-site employees. YB Danny Law Heng Kiang, EXCO and Chairman of Penang State Tourism Development Committee, from Penang, which jointly hosted the Asia Pacific Tourism Conference with WTCF in late March, visited WTCF’s booth and communicated with the on-site employees. Representatives of Macao, Hong Kong, Berlin, St. Petersburg and other member cities of WTCF had discussions about work with the employees at the booth. On June 13, accompanied by Loo César, President of the China Peruvian Friendship Foundation; and Pan Chengzun, Director of the Chinese Restaurant Association in Peru; MLi Baochun, Executive Deputy Secretary-General of WTCF; and Chen Bo, Director-General of the Liaison Department of WTCF; met with Carmen Patricia Juárez Gallengos, Deputy Mayor of the Lima Municipal Government; Guillermo Valdivieso Mendez, Chairman of the Tourism Commission of Lima Municipal Government; Ada Constantino, Mayor's Office Advisor; and Renato Zapata, Councilor of Rimac District, Lima; at the Municipal Palace of Lima. During the meeting, the two sides communicated on topics including promoting the development of the tourism industry in Peru, strengthening cooperation between Lima Municipal Government and WTCF. Between June 1 and 2, 2017, the 5th China International Cruise Summit kicked off in Qingdao. The summit was jointly hosted by Asia Cruise Terminal Association, the Committee of Cruise of WTCF, Shanghai International Cruise Economic Research Center, and supported by Qingdao Municipal Commission of Tourism Development, Qingdao International Cruise Port Authority, the People’s Government of Shibei District, Qingdao, CCPIT Qingdao Sub-council, and China Qingdao Port (Group) Co., Ltd. The summit focused on the theme of “Expanding the whole industrial chain of cruise economy, Boosting innovation & development of cruise industry,” which introduced the all-for-one tourism concept, and extended the whole industrial economic development of the cruise industry. More than 200 honored guests from 26 countries and regions such as Germany, the UK, Sweden, Monaco, Russia, France, Philippines etc. attended the activities of the summit. From May 27 to June 2, "China Champions Learning Journey" Training Program was held. The training program, initiated by Edinburgh Tourism Action Group (ETAG), is jointly hosted by WTCF and ETAG. A total of 14 trainees from Edinburgh’s Hotel, Marketing, and other related tourism department, will participate in the training and visit famous Chinese tourism destinations such as Beijing, Shanghai and Nanjing. To help trainees better understand the China tourism market, WTCF also arranged business negotiations and a series of tourism cooperation visits with institutions such as CITS, Utour, CAISSA, Tuniu.com and Ctrip, as well as Chinese famous tourism media Sina and Tencent. All of the companies above were invited and selected from WTCF’s institutional member and Committee of Media Organizations. It’s the first time that WTCF is coordinating with its institutional members and Committee of Media Organizations members to host the training program for city members. In order to help WTCF members understand the Tourism Investment Fair, WTCF invited Mr. Stephen Cheung, President of The World Trade Center Los Angeles, to deliver a lecture on the situation of Los Angeles’ investment sector on May 19th, 2017. The members of WTCF Committee of Investment and representatives of enterprises or institutions attend the lecture. On May 15, 2017, while representing WTCF as an international organization participating in the Belt and Road Forum for International Cooperation, Mr. Ernest Wooden Jr., Vice-Chairman of WTCF Council and Pres. and CEO of Los Angeles Tourism & Convention Board, conversed with WTCF Secretary-General Song Yu and WTCF staff. On 15 May, 2017, WTCF signed the “Cooperation Framework Agreement between WTCF Secretariat and SCO Secretariat” with Shanghai Cooperation Organisation (SCO) in Beijing. WTCF Secretary-General Song Yu and SCO Secretary-General Rashid Alimov represented their respective organization and signed the agreement together. On April 19, 2017, a WTCF delegation, headed by Executive Deputy Secretary-General Li Baochun, paid a visit to Ctrip, a WTCF member headquartered in Shanghai. The delegation had a fruitful exchange of views with Ctrip CEO Jane Jie Sun on a wide range of issues with the aim of strengthening mutual cooperation and promoting strategic partnership. Members of the delegation included Chen Bo, Director-General, Liaison Department; Jenny Cai, Director-General, Public Relations & Brand Marketing Department; Zhang Shuo, Director-General, Business Development Department; and He Shengkang, Counselor of WTCF Secretariat. On April 17, 2017, the 4-day “2017 World Tourism Destinations (Cities) Promotion and Marketing Training Program” opened in Beijing. About 20 representatives attend the training program this year, including city member representatives from Nairobi, Riga, Helsinki, Hamburg, Berlin, Abidjan, Brussels, Vitoria, and embassies and consulates representatives of Tajikistan, Kazakhstan, Uruguay, Cuba, Peru, Brazil, Dominica, Costa Rica, Colombia, Mexico, and Ivory Coast. On March 30, Mr. Walter Mzembi, Minister of Tourism & Hospitality Industry (Zimbabwe), visited WTCF Secretariat and met with Mr. Li Baochun, Executive Deputy Secretary-General of WTCF. The two parties exchanged views on strengthening communication and cooperation with each other. During the WTCF Asia-Pacific Conference 2017, WTCF launched the Call to Action: Building City Hubs on the Belt and Road Tourism City Corridor. According to the call to action, all members of WTCF will actively respond to and promote the “Belt and Road” initiative.With the support of WTCF, city members will take the lead in demonstrating the building of “Belt and Road Initiative” City Hub, and provide experiences for the world tourism industry development. WTCF Asia-Pacific Conference 2017 was held in Penang, city of Malaysia from March 26 to 27. About 300 guests, including delegates from UNWTO, city and institutional members of WTCF, members of WTCF Expert Committee as well as delegates from Penang State Government, attended the event. It is the first large regional conference that WTCF is holding in one of its member cities. The theme of the conference is “One Belt One Road: Development of Tourism Corridor and City Hub” with the objective of powering the world tourism industry by establishing the One Belt, One Road tourism corridor and a series of city hubs, enhancing exchange and cooperation between tourism cities and tourism enterprises. WTCF Deputy Secretary-General Yan Han was invited by Melbourne tourism board, the host of Indian OTM, and the City of Delhi, to lead a delegation to Australia’s Melbourne, and India’s Mumbai and Delhi. The Guangzhou International Travel Fair 2017 was held on Feb. 23 in Guangzhou. Representing its members, WTCF actively recommended its city and institutional members, and extensively communicated with professionals of the industry. WTCF and Ivy Alliance Tourism Consulting co-hosted the 2017 International Forum on Chinese Outbound Tourism (IFCOT) on January 9, 2017. At the same time, WTCF released two new research results, the Annual Report on Development of World Tourism Cities 2016 and Report on World Tourism Economy Trends (2017). About 200 guests including 5 ambassadors,70 diplomatic officials of foreign embassies, top executives of tourism organizations, representatives from Shanghai Cooperation Organization and other international organizations, representatives of WTCF members, and China-based leading outbound tour operators attended the forum. On January 5, as part of the 33rd China-Harbin International Ice and Snow Festival, the 2017 World City Ice and Snow Tourism Cooperation Organization Preparatory Conference was held in Harbin. Representatives from 17 cities and 13 organizations attended the event. Yan Han, Deputy Secretary-General of World Tourism Cities Federation, along with other staffs of WTCF, were invited to attend the event. The 2nd Global Tourism Forum was held in Suining City, Sichuan Province, on Nov. 30, 2016. Yan Han, Deputy Secretary-General of World Tourism Cities Federation was invited to attend the forums and to deliver a speech. The establishment ceremony for the China Cultural & Tourism Investment Alliance was held on Nov. 27, 2016. Li Baochun, Executive Deputy Secretary-General of WTCF attended the ceremony and delivered a speech. On Nov. 7-9, the World Travel Market was held at ExCeL London. WTCF organized many city members to attend this exhibition, including Riga, Saint Petersburg, Beijing, Tanjung Pandan, and Plovdiv. During the exhibition, WTCF hosted the Chinese Tourism Market Development Forum and WTCF Regional Meeting for Europe. On Nov. 1-2, the 5th Global Summit on City Tourism of UNWTO was held at Luxor, Egypt. Cheng Hong, Executive Deputy Chairperson of WTCF Council and Vice Mayor of Beijing, attended the summit and delivered a speech to share Beijing and WTCF's experiences on promoting tourism development and cooperation between cities. Global Tourism Economy Forum Macao 2016 (5th) was held in Macao on October 15-16, 2016. WTCF Executive Deputy Secretary-General, Li Baochun, and Deputy Secretary-General, Yan Han, attended this forum with a delegation. This forum’s theme was “The Growing Consumer Class - Rethinking and Reshaping the Future Tourism Landscape.” WTCF hosted the sub-forum: Transformation of City Tourism Consumption. On October 14, the Chinese Tourism Cities Overseas Promotion Seminar was held in Macao. The seminar was co-hosted by WTCF, Global Tourism Economy Forum and Macao Government Tourist Office. At the press conference of World Tourism Cities Federation Chongqing Fragrant Hills Tourism Summit 2016, WTCF signed a strategic partnership agreement with iQIYI. On October 1, WTCF iChannel was officially launched. From September 23 to 25, the International Leisure Tourism Exposition 2016 was held in International Conference and Exposition Center in Xiamen. Invited by WTCF member city Xiamen, Yan Han, the Deputy Secretary-General of Secretariat of WTCF and other personnel attended related events and delivered speeches to help the member city in developing their tourism industry and building leisure focused tourism centers. The day after the closing of the 2016 World Tourism Cities Federation Chongqing Fragrant Hills Tourism Summit, part of the guests traveled from the urban city to the 700 year old ancient battlefield. They walked into the ruins of ancient Hechuan Fishing Castle in Chongqing, and started their cultural heritage route trip to experience the beauty of the mountains and rivers. On September 20, the Summit came to a conclusion. After the two-day agenda, some guests were invited to go to the Natural Heritage Route, one of the three travel routes arranged by WTCF and Chongqing Tourism Administration to introduce Chongqing’s tourism resources. WTCF and Chongqing Tourism Administration arranged three themed tour routes for guests after the Summit. After the closing ceremony, on September 20th, some guests went on board the No. 6 Gold Cruise Ship. The Yangtze Gold Cruise represents the highest quality service and technology level of the cruises that operate in Yangtze River. During the Summit, Tegegnework Gettu，Under-Secretary-General of UN and Administrator of the United Nations Development Programme, said, the United Nations is supportive of the development of tourism because it has significant positive influences on the development of the world economy, the welfare of people, and global peace. Wei Xiaoan, Chief Expert of WTCF Expert Committee was interviewed by Chinese and foreign media during the 2016 Chongqing Fragrant Hills Tourism Summit, making an interpretation to this summit. Tokyo and Paris are the most preferred tourist destinations for Chinese short-distance and long-distance outbound travels, respectively, according to a report issued by WTCF at its meeting held in Chongqing Municipality in southwest China. On September 20th, the summit proceeded to the forum sessions. The forum started the discussion on the issue of “Urban Development and Shared Economy” and the research results of WTCF were announced at the forum. On September 20th, the Annual Meeting of Committee of Cruise Industry of WTCF held was during the summit. On the night of September 20th, 2016, the World Tourism Cities Federation Chongqing Fragrant Hills Tourism Summit, held in the Chongqing Yuelai International Convention Center, has come to conclusion. On the afternoon of September 20th, the Tourism Investment Fair & Signing Ceremony of 2016 World Tourism Cities Federation Chongqing Fragrant Hills Tourism Summit was held in the Happiness Hall of Chongqing Yuelai International Convention Center. At the World Tourism Cities Federation Chongqing Fragrant Hills Tourism Summit 2016, Qingdao stood out from many competitors and managed to be chosen to host the WTCF Fragrant Hills Tourism Summit 2018. During the WTCF Chongqing Fragrant Hills Tourism Summit 2016, Los Angeles has been chosen by the WTCF Member Committee to host the WTCF Fragrant Hills Tourism Summit 2017 on September 19. On September 19th, the Annual Meeting of the Expert Committee was held during the 2016 World Tourism Cities Federation Fragrant Hills Tourism Summit. Wei Xiao’an, Chief Expert of WTCF, Zou Tongqian, Vice Chairman of Expert Committee, as well as other committee members participated in the meeting. During the summit, on September, 19th, the annual meeting of Committee of Tourism-Related Businesses was held by WTCF. The 35 attendees included committee representatives and other institutional members. Chongqing Declaration of World Tourism Cities Federation was declared at Chongqing Fragrant Hills Tourism Summit to better promote the concept of shared economy and a better development of world tourism cities. On the morning of 19th September, WTCF Chongqing Fragrant Hills Tourism Summit 2016 kicked off in Chongqing, China. On the evening of September 18th, the Welcome Banquet of the World Tourism Cities Federation Chongqing Fragrant Hills Tourism Summit 2016 was held at the Chongqing Yuelai International Convention Centre. On the morning of September 18th, just before the Chongqing Fragrant Hills Tourism Summit started, The Travel Channel and the We-media of WTCF interviewed Luo Xingqiang, Director of Tourism Department of Penang, Malaysia. Chongqing Tourism Carnival 2016 was held on September 16th-19th 2016 in Chongqing International Expo Center. WTCF organized 19 city members as well as 5 institutional members to exhibit their respective city or institution at the world tourism cities exhibition area. The members attended Chongqing Tourism Carnival 2016 as a group. On September 6th, a news conference detailing the 2016 World Tourism Cities Federation Fragrant Hills Tourism Summit was held in Beijing by WTCF. This summit is organized by both WTCF and the Chongqing Municipal Government, and will be held from September 19 to 20.Discussions will be held regarding the issues of tourism investment, urban development and shared economy. Before World Tourism Cities Federation Chongqing Fragrant Hills Tourism Summit 2016 begins, Chongqing Tourism Administration and WTCF invited media representatives and travel agents to visit Chongqing on July 4th-10th, in order to promote Chongqing’s tourism resources.The institutions that attended this tour included CITS, CTS, CAISSA Touristic, Ctrip.com, Tuniu Corporation, and major media organizations of Beijing and Chongqing. On June 21st 2016, at the invitation of UNWTO, Deputy Secretary-General Yan Han and Liaison Officer Sophie Zhang of WTCF attended the International Conference of Integrated Quality Management in Tourism Destinations: A Key to Competitiveness in Bucharest, Romania. Deputy Secretary General Yan delivered a keynote speech themed “Shared Platform of World Tourism Cities.” More than 300 guests attended this conference. On June 1st-10th, 2016, the delegation of WTCF visited Copenhagen, Helsinki, and Dublin. WTCF visited these cities to discuss promotions, consulting and training, cooperation on investing and financing, and accepting members and so on. This delegation consisted of Yan Han, Deputy Secretary-General of WTCF; Chen Bo, head of Liaison Department of WTCF; and Wu Meiqing, Admin Specialist. The governor of US Virgin Islands, Kenneth Mapp, paid a visit to China recently and conducted talks with Mr. Li Baochun, Deputy Secretary-General of WTCF.Mr. Li Baochun welcomed the governor for his visit and introduced the outbound tourism market of China. He also talked about the services that WTCF can provide to members and some recent work. On May 26th, WTCF and Chongqing Municipal People’s Government jointly held a press conference for “2016 WTCF Chongqing Fragrant Hills Tourism Summit.”The WTCF Chongqing Fragrant Hills Tourism Summit 2016 will be held at Chongqing Yuelai International Convention Center on September 18th to 22nd. This summit will be co-hosted by WTCF and Chongqing Municipal People’s Government, with a theme of “Shared Economy and Development of Tourism Cities.” Seven major events include a general assembly of WTCF members, a council meeting, summit forums, tourism promotions, tourism marketplace, tourism projects investment fair, and an expo of world tourism cities. Ten tourism promotions will be arranged. Thirty famous overseas wholesalers will be invited to trade with about 100 local travel agencies of Chongqing. Members will be asked to bring their tourism projects to negotiate with 20 investment and fund managers. It is estimated that about 400 representatives from more than 100 tourism cities, more than 50 travel institutions and international tourism organizations, and about 100 representatives from world-famous tourism media will be present at the summit. This summit aims at summarizing Chongqing’s experience to bring the concept of shared economy to the development of world tourism and promote the sustainable, intensive, and efficient development of world tourism. On May 21st, Song Yu (WTCF Secretary General) met with Taleb Rifai, the UNWTO Secretary General, when he came to Beijing for the 1st World Conference on Tourism for Development.Others present at the talks included Zhu Shanzhong (Executive Director of WTCF), Li Baochun (Deputy Secretary of WTCF), Carlos Vogeler (Executive Officer of Membership and Director of the Americas Affairs Department), Xu Jing (Executive Officer of the General Assembly and Executive Committee, and Director of the Department of Asia-Pacific Affairs) and other officials of UNWTO. Beijing International Tourism Expo 2016 is grandly held at the National Agriculture Exhibition Center on May 20, 2016. Song Yu (Secretary General of World Tourism Cities Federation) was present at the opening ceremony. On behalf of city members, WTCF participates in this exposition, hands out leaflets, and promotes its city members and institutional members to the public. After the ceremony, Yan Han meets with Alessandro Pollio Salimbeni, Sergio Daneluzzi and other directors of Milan Tourism Bureau. The 1st World Conference on Tourism for Development, co-hosted by Chinese government and United Nations World Tourism Organization (UNWTO) was held in Beijing. This Conference includes some important events, such as, a promotion evening, an opening ceremony, keynote speeches, a summit forum, a conference for tourism ministers of G20. Before the opening ceremony, Premier Li Keqiang met representatives of WTCF, other international organizations, and more than 70 above-ministerial-level officials, and then took a group photo together. On May 18th, at the welcome dinner hosted by China National Tourism Administration and Beijing Municipal People's Government, Mr. Wang Anshun, Chairman of the WTCF Council and Mayor of Beijing, Mr. Taleb Rifai, Secretary-General of UNWTO, etc., took a group photo in front of the display board. At the summit forum themed “Tourism for Peace,” Gonzalo Robredo, Executive Director, Tourism Office of the city of Buenos Aires was invited to deliver a speech as the representative for the holder of vice president of WTCF.